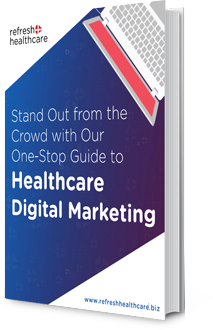 The best solutions in digital marketing and advertising for hospitals and private clinics. Word of mouth awareness, along with marketing and digital advertising, can bring more loyal customers to Private Clinics or Hospitals. However, to reach this level, it is important to have a partner of renown and knowledge. 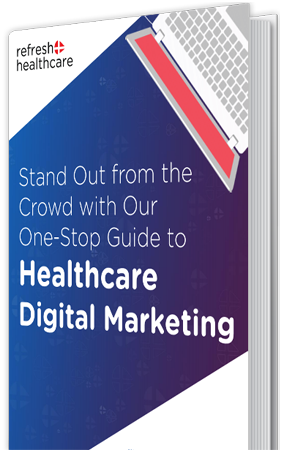 Refresh Healthcare, with extensive knowledge, will join digital strategies and offline marketing for your healthcare business to produce predictable growth over a long term. To explain more about this, we will describe the main marketing actions for the healthcare market. 1- Site Creation and Management. Private hospitals or clinics, which wish to be more prominent in the market, should invest in their digital presence. Your patients need to find the place on the internet without any difficulty. Therefore, having a properly designed website can attract your target audience. In order for your brand to be differentiated from competitors, it is important to have a good-structured website (SEO-oriented content) so that it can be found in organic search engines (like Google). 2. Management Of The Social Networks. From the development of a website, the next step in digital marketing is to create your social media. Facebook and Instagram will support your relationship with patients and the sale of new products. You can use these social networks to publish new packages of popular consultations, to disclose health plans of the hospital network, to keep a close contact with each patient, etc. Note: in social media management of private hospitals or clinics, you need to - first of all - plan to know about the audience & what to post. Also, keep track of what happens! 3- Creating A Campaign On Google Adwords (Sponsored Links). This tool provides a considerable increase in profit for organizations. It works like the Pay Advertising area in the Google Search space. From a reduced investment, there is already a complete expertise on how to have good results. Important: Make your ads focus on converting new contacts! The primary goal is to bring in new customers and keep current patients consuming their products and services. For this, it is necessary to work with content marketing actions, directed to the Blog. How it works: Articles from the Blog are developed. They should contain interesting content on the medical and health market. At the end of each, we will make a call to stimulate public action - the call to action. In this case, it can be from the advertisement of a service; up to an exclusive discount for any query. Along with this, you need to create an Email Marketing Campaign. Will be making a relationship with customers by sending out scheduled marketing emails. The goal is to generate a continuous buying interest in these customers. Creation of internal plaques, informative folders, billboards and advertisements in magazines. Focused on a quality design in the end. Be Much Better Than Others. To survive today's predatory market, do not be just an ordinary business. Pass the image that you are unique and better than your competitors. Find out what the other companies are doing. Make more and better. Example: improve your service by the website, through a chat aimed at Internet users. Be Indicated By Consumers. Have clients disclose your private hospital or clinic on a voluntary basis. To do this, grant several unique benefits to the best consumers. Encourage patients to positively propagate the brand on their personal social networks. Understand The Consumer Experience. Find out what your customer is looking for when looking for your products or services. What does he feel upon arriving at the facility, as he expects to be attended to, agrees with the amounts charged - do you think he is fair? From these answers, you will be able to surprise him and this patient will have a unique experience. Have now a marketing of excellence for your business! Your Hospital or Private Practice should invest in the best digital marketing and communication strategies! In this way, you will have more exceptional results and new customers every day!